Stunning 3 bedroom penthouse (4600 sq. ft.) with incredible 180 degree views and private hot tub on deck overlooking Medano Beach, Sea of Cortez and Lands End. Featured in Elite Traveler Magazine Sept/Oct 2010, as one of the Top Suites in Cabo. Casa Dorada Resort with great pools, hot tubs, restaurants, gym and spa. Prime location next to the well known restaurant 'The Office' and other great restaurants and just a 5 min. walk to downtown Cabo San Lucas. Traveling in January 5-12? Contact us for details on our Two (2) Bedroom (2000 sq. ft.) also with great views of Medano Beach, Sea of Cortez and Lands End. This 3 bedroom is available Mar 30 - Apr 6, 2018, and Jun 8 - Jun 15, 2018. Was nice. Place is showing signs of age. We booked. 3 bedroom penthouse fine print stated it was the 2 bedroom standard room so be careful. Was very stressful changing our reservation around as we had 3 couple going. We have stayed here at least 15 time. It’s time that they start doing so remodeling. The pool is like walking on boulders. Kids are not kept out of the adult swim up bar. There are 3 other pools for children. The staff at the pool is always fantastic. Pictures don't do it justice. Fantastic! A true treat. It's next to everything worth going to. We couldn't believe how nice it was. I'm truly thankful of how big it was and had so much fun with my 10 adult kids. God bless! This is the best spot for a vacation ever! The best location and the best views, if you want an A+ room this is it. Probably the best location/view in Cabo! We absolutely love Cabo. And, this is definitely one of the best places to stay in all of Cabo. It is an incredible unit! The unit is huge. And, the deck is ridiculously huge! The views are to die for. Best of all, it's only 10 minutes from downtown Cabo and is directly above the happening part of Medano Beach. Thank you for your great review Mike, very much appreciated. This was an all around perfect experience! The unit has to be the best place in all of Cabo. We had views in about every direction. Nancy was also outstanding to work with. We hope to make it back again soon! Thank you! Thanks Cody, so happy you had a great time. 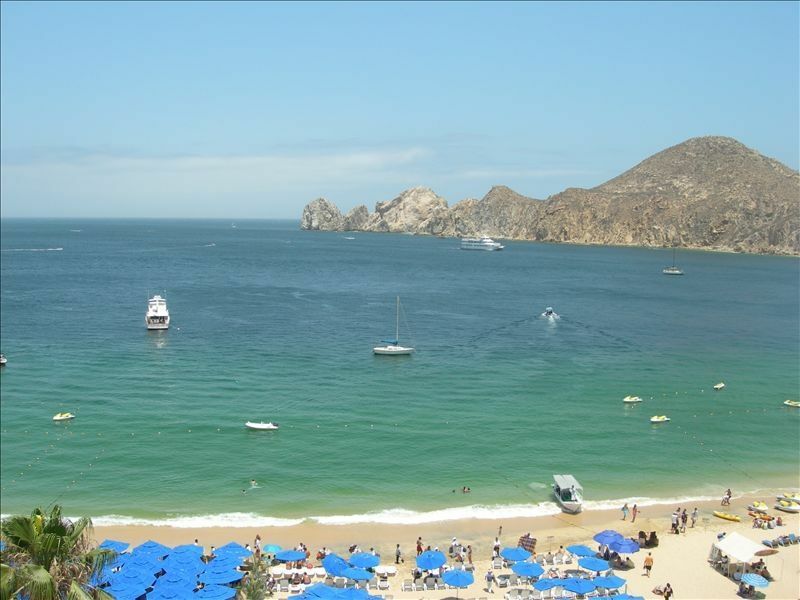 You are so right it is one of the most beautiful views in Cabo.